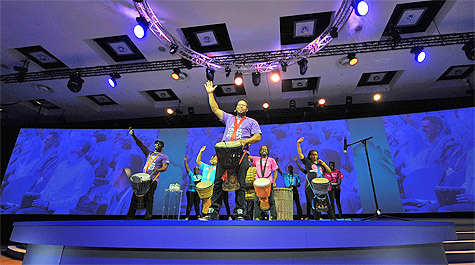 The Drum Cafe pioneered group drumming and we have since performed for most major corporate companies in South Africa. 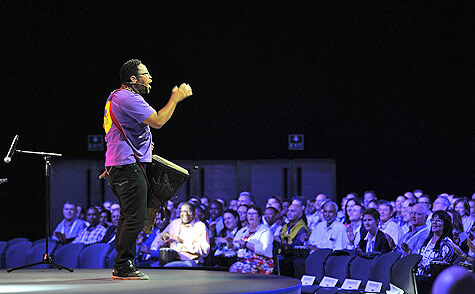 Our facilitators are world-class and are backed by outstanding musicians. 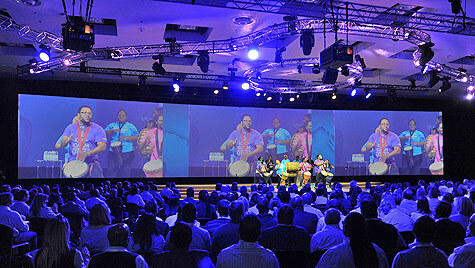 The interactive events that we offer include drumming, gumboot dancing, boomwhacking, dance, clapping and corporate rhythms. Each event is built on a similar philosophy of team-building, but is fun and effective in a unique way. When to use the Drum Cafe’s interactive events? Remember to read about Interactive Drumming, Team Building, Interactive Gumboots, Interactive Boomwhacking and Dance/Clapping/Rhythms.